How does a young Russian woman become a feminist ? I grew up in the 90’s. Therefore, I was shaped by a historical heritage. Because of the USSR, feminism is considered a solved issue : at that time, men and women were equal on paper. Femininity was denied, soviet people were always pictured as androgyne - tending to be male. So during the 90’s, the idea of soviet emancipation was widely rejected, women lacked femininity. When they suddenly had the opportunity to choose, they decided that staying at home was a symbol of freedom, whilst everywhere else in the Western world women were fighting for their right to work, to have equal pay. I went into gender field by chance. After my philosophy degree, I obtained a scholarship in a subject not too far from my background. I applied to three master's programmes around Europe and got into a 2-years program in Spain and Poland. Why did they take me ? Other than being the first Russian on the program ? Certainly because my essay was a bit provocative. I clearly wrote that I was not a feminist. That I did not think feminism was an issue because in Russia we were emancipated. But still I faced the ridiculous fact that, in Russian philosophy, all philosophers were male writers fixed on the - idealised - concept of eternal femininity, whilst despising ‘real’ women around them. And I declared I wanted to dig deeper into this paradox. The first six months were tough as I was rejecting the very idea of feminism. I was studying gender with my philosophical background and everybody, teachers and students, were trying to convince me that, as a women, I was already discriminated by the facts. At the beginning, I rejected everything. Then I switched gradually because we were reading a lot, studying texts, analysing historical facts and trying to rethink history written from a man’s perspective. There are so many unfair cases, violences… This is how I began to feel anger and pain. It changed me. On the one hand I had a great life because the scholarship was covering all expenses. But emotionally is was very difficult. When I finished my studies, I came back to Russia and started to meet local feminists. I did not really bond with them because they were mostly artists who focused on inflicted violence. I did not want to be trapped in that emotional painful cycle any longer. Then I traveled to South Asia and kept looking at the world through gender lenses, because once they are on, you cannot get rid of them. Asia taught me that I don’t have to be in that emotional bubble. I don’t have to be angry, especially at men. Contemporary men are not responsible for their fathers and their upbringing. But they need to be informed. I found my feminism: it is very peaceful, aims at spreading knowledge. Back in Moscow, I applied to a contest linked to educational projects. The first idea that came to my mind, was an event where participants would find their own answer to what feminism is, watching feminist art, asking questions, through the means of intellectual information and emotions. I applied and surprisingly I was shortlisted. I pitched at DI Telegraph. I never expected to win but I did. They offered that I organise a whole festival as the space was too big to hold a simple lecture. That was in 2016. The idea of the first festival was to make it popular. Like entertainment. The targeted audience were people hardly involved in feminism but who were interested and wanted to learn more about it. They were already convinced people were there to deliver a message. So we followed the Ted format for lectures to be striking. The idea was to attract gender specialists who can, in a very simple way, explain basic terms and basic knowledge. Also I wanted to introduce several performances, poetic entries, songs, theatre, as another way of understanding and feeling. I wanted to mix all of that together so that people could individually select for their own better understanding. I am very happy we managed to host exhibitions of feminist art. It is very beautiful when the space communicates and brings out new feelings, connecting everything and giving emotion. After all, the whole idea of the festival is to create empowerment and bring good vibes. The first edition, we had a sponsor who covered some expenses and PR. This time, it was mostly DI telegraph and we are very grateful for that. It is a partnership for which I just happened to become a kind of spokesperson. We’ve been criticised but we proved that there is such thing as mild feminism. A feminism dealing with knowledge and liberty of choice, not with ideology. 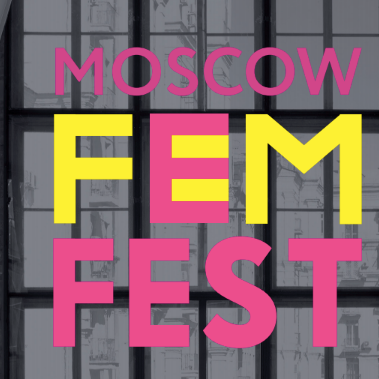 Today, how do you think Russian society is responding to the ideas of empowerment and feminism ? Actually we don’t have a word for empowerment in Russian language. So it is hard to translate. On the contrary, we have the cultural idea that the strength of women lies in their weakness. Women here have privileges : we don’t pay for the bills, we should be taken care of... Women don’t want to lose these privileges. And actually, me neither. I like the chivalry. So I gave it a thought, struggled with myself and I found my solution. Chivalry is like etiquette, but it should not be an obligation. Everyone should have the right to decide for themself. I will not stop dating a man because he does not want to pay for me. It is positive to see people offer their seat on the bus. But it shouldn't be gendered. Women tend to think that if they become feminist, they have to get rid of these privileges. I, on the contrary, believe that being a feminist is being aware of these privileges, is being able to navigate in the cultural system consciously. Chivalry is the outcome of a cultural history, when women wore large dresses and were not permitted to sit on their own. It should be deconstructed and adapted to our society. Feminism is not about getting rid of cultural history, it is about getting rid of sexism, discrimination, stereotypes and violence. To know more about FemFest, follow them on Facebook. 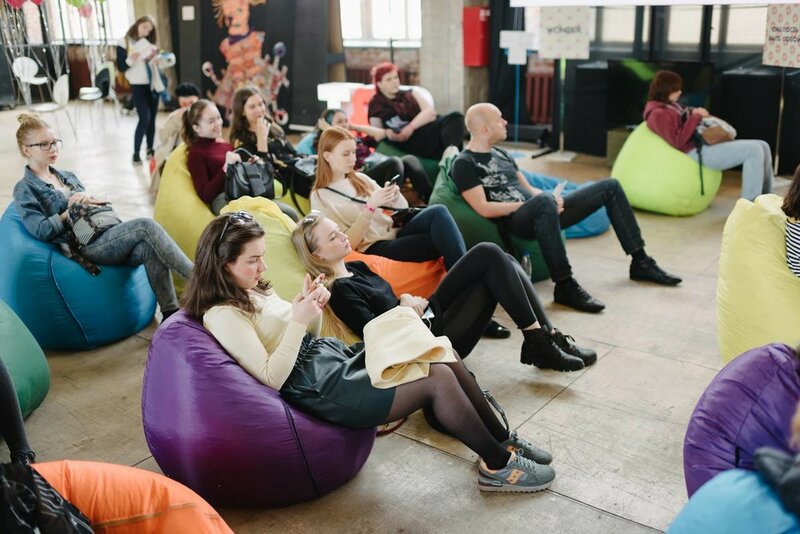 If you are interested in the amazing place you can see on the pictures, go visit the DI Telegraph, one of the best coworking space in Moscow.